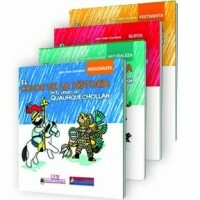 This is the official catalogue of the Lienzo de Quauhquechollan exhibit. It presents the latest historical research based on the restored version, taking readers through an in-depth scene-by-scene analysis. 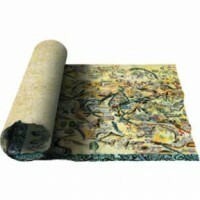 The symbols, pictography, and people found throughout the Lienzo are also thoroughly explained. 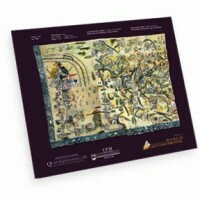 It is richly illustrated and explains in detail the digital restoration process of the Lienzo de Quauhquechollan. This book is an important addition to any library on Mesoamerican history and appeals to those who have visited the Lienzo exhibit as well as those who have not. 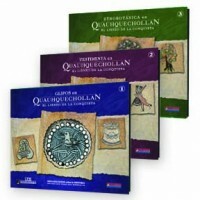 Each monograph will develop a major theme represented in the Lienzo de Quauhquechollan. The illustrated series is aimed at both scholarly and general audiences. Scheduled topics include: costume, place emblems, and ethnobotany. Designed as a resource for both scholars and newcomers to the fascinating world of cartography, this beautifully illustrated book includes 99 map images of Central America. 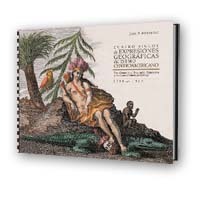 Portolan charts that guided the earliest explorations of the region’s coastlines, detailed maps used by Spanish colonial officials, and narrative indigenous maps are all included. The accompanying text includes fascinating historical details, biographies of the mapmakers represented, and a glossary. 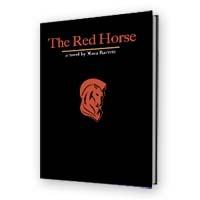 Hardcover with jacket, 207 pages, 12 in. x 10 1/4 in. The Spanish conquest and early colonial period serve as the backdrop for this historical novel set in Guatemala, with Pedro de Alvarado, his second wife Beatriz de la Cueva and Bishop Francisco Marroquín as the protagonists. 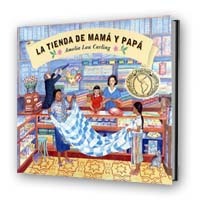 Equally fluent in both English and Spanish, the author wrote her story in both languages. 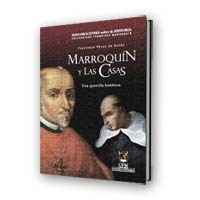 A look at the very different personalities, lives, and legacies of two of this country’s most influential historical figures, Francisco Marroquín and Bartolomé de Las Casas. This illustrated children’s book explores the multicultural makeup of Guatemala through the eyes of a little girl, the daughter of Chinese immigrants who own a store in downtown Guatemala City. 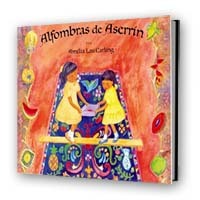 Her rich illustrations are filled with memories of her own childhood in Guatemala, and the book is a charming souvenir for visitors with or without children. Softcover, 32 pages, 10 1/2 in. x 8 1/2 in. As an award winning author of children’s books, Carling evokes her own childhood in Guatemala on a family visit to Antigua for its famed Holy Week celebrations. Includes a short glossary of terms. A unique souvenir for those who want to remember and share Guatemala’s culture and traditions. Designed for children, each of the four coloring books in this collectible series focuses on individual themes represented in the Lienzo: people, nature, glyphs, and costume. A handy reference guide to the Lienzo de Quauhquechollan. The restored Lienzo is reproduced on one side and key information for interpreting the document’s contents is on the other. 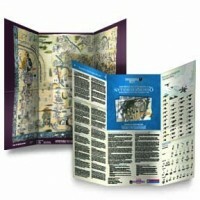 It includes a modern map of the conquest route, a guide to symbols and place glyphs, and a summary of the Lienzo’s history and significance. 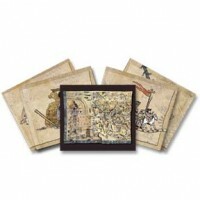 A set of four oversized postcards featuring details and descriptions of favorite scenes from the Lienzo. High-quality reproduction of the restored Lienzo, perfect for hanging in a classroom, library, or as a souvenir.